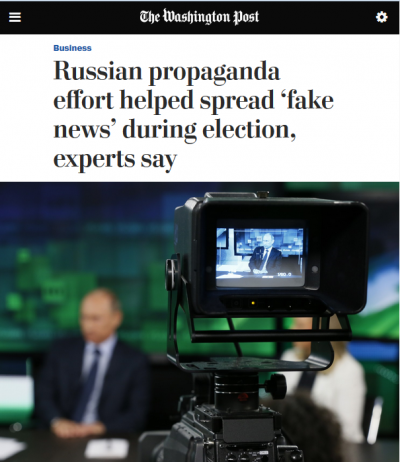 The Washington Post(11/24/16) last week published a front-page blockbuster that quickly went viral: Russia-promoted “fake news” had infiltrated the newsfeeds of 213 million Americans during the election, muddying the waters in a disinformation scheme to benefit Donald Trump. Craig Timberg’s story was based on a “report” from an anonymous group (or simply a person, it’s unclear) calling itself PropOrNot that blacklisted over 200 websites as agents or assets of the Russian state. But the story didn’t stand up to the most basic scrutiny. 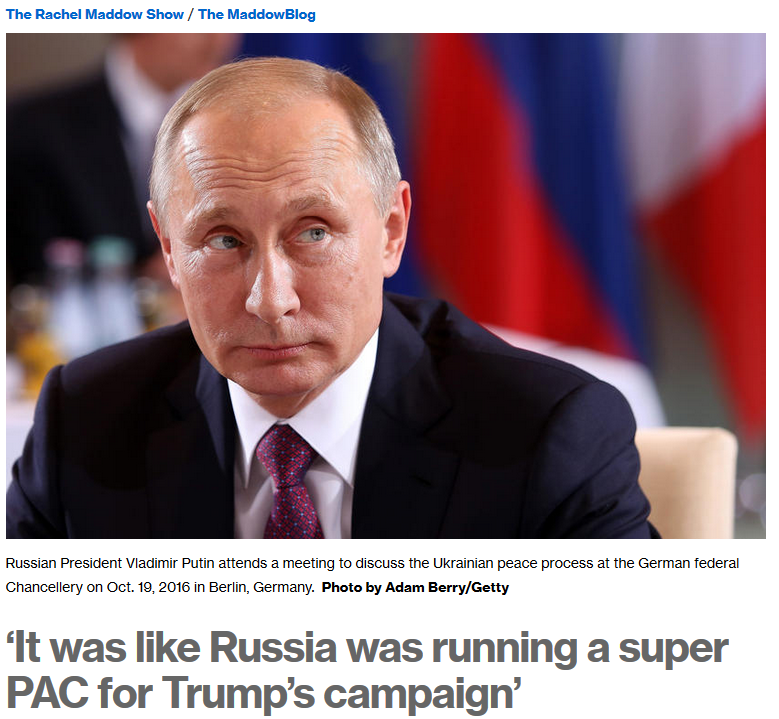 Follow-up reporting cast major doubt on the Washington Post’s core claims and underlying logic, the two primary complaints being 1) the “research group” responsible for the meat of the story, PropOrNot, is an anonymous group of partisans (if more than one person is involved) who tweet like high schoolers, and 2) the list of supposed Russian media assets, because its criteria for Russian “fake news” encompasses “useful idiots,” includes entirely well-within-the-mainstream progressive and libertarian websites such as Truth-Out, Consortium News,TruthDig and Antiwar.com (several of whom are now considering lawsuitsagainst PropOrNot for libel). Despite respected media critics taking the report to task, the Post’s spurious claims are being cemented as conventional wisdom, all the while the writer of the story and his editor refuse to answer direct criticism or reveal who this anonymous person or persons is. What are their motives? Who are their funders? Why is “useful idiot” being propped up by a major news outlet as a useful distinction? Why weren’t those on the blacklist asked to comment? Despite numerous inquiries by The Intercept, Rolling Stone and The Nation (11/28/16), all these questions remain unanswered.